Sony isn't wasting any time with the announcements at San Diego Comic Con. It's just revealed a rather tasty Spider-Man themed limited edition PlayStation 4 Pro console to coincide with the upcoming game based on Marvel's webslinger. 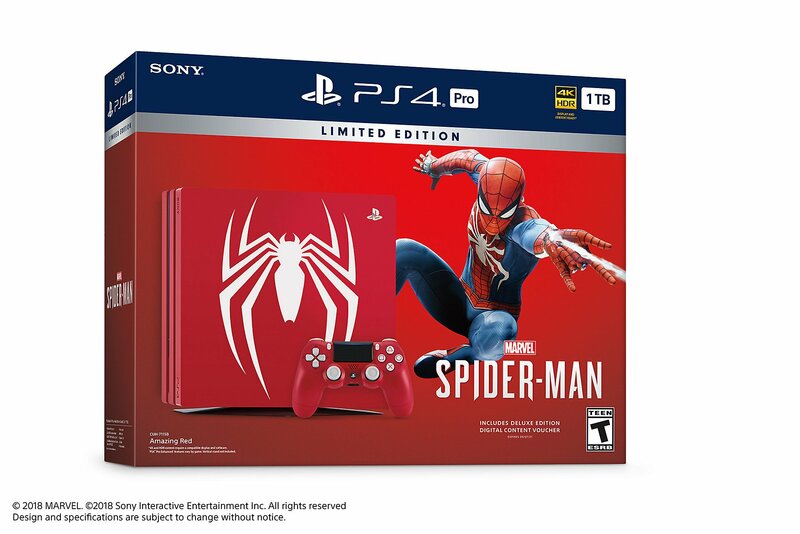 It's a 1Tb console decorated in what Sony calls "Amazing Red" livery, with the new white Spider-Man logo and a matching controller. It comes with a boxed copy of the Spidey game, developed by Ratchet & Clank studio Insomniac, as well as a code for the City That Never Sleeps DLC story chapter. It also comes in a nice box, if that's important to you. The whole bundle costs $399 and is available for pre-order now from Amazon, Best Buy and GameStop, and will launch alongside the game on September 7.